Arrive in Delhi and later transfer to the hotel. Day free for rest. Next morning full day city tour of Delhi. 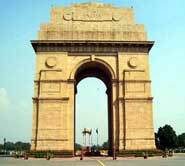 Delhi - The capital of India. Visit the Laxmi Narayan Mandir, and the Bahai Temple, also known as the Lotus Temple. Raj Ghat the cremation site of Mahatma Gandhi, Father Of India. Later enjoy Red Fort and Jama Masjid in the Old Delhi. Go on shopping to the crowded streets of the markets of Chandni Chowk Bazaar. In the evening, you can visit Dilli Haat, best place to look at Indian handicrafts and drive over the Rajpath, India Gate. You can see the President's House from outside and visit the 16th century Humayun's Tomb, Safdarjung's Tomb and Qutab Minar. After breakfast, travel towards the city beautiful Chandigarh. In the evening visit the beautiful gardens-The Rock Garden and the Rose Garden. After breakfast visit The Sukhna Lake and The Mansa Devi Temple, Pinjore Garden. Later drive to Dalhousie. ranging from a gentle humming to an eerie wail. The marvelous meadow, lovely lake and the captivating cedar trees. the jewel of the Himalayas, visit the Lakshminarayana temple, Rang Mahal- the palace is in the shape of a feudal castle and boasts of marvelous murals. 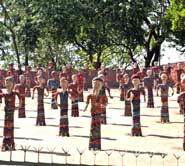 The Bhuri Singh Museum -amongst the many exhibits is the paintings, sculptures, stone inscriptions, wonderful embroideries, ancient weapons, and other rare artifacts. After breakfast, travel further to Dharamshala. Evening free for leisure. The charming dressed- stone church of St. John in the wildness. 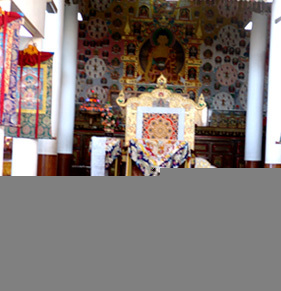 Often called the' Little Lhasa' at 1770 m; this is the residence of His Holiness the Dalai Lama. 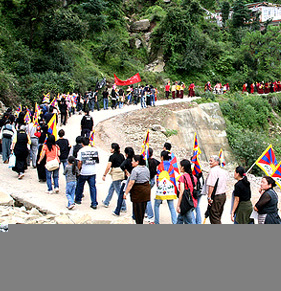 The large Tibetan community and the presence of traditional architectural designs drawn from Tibet have enhanced the area. Close to fresh water springs; this ancient temple is 11 km from Dharamshala. It is a popular picnic spot and the famous slate quarries are close by. 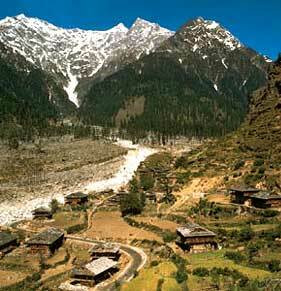 Also visit Dharmkot, Triund, Andretta and many more. Travel today to Manali enroute visiting Baijnath for the famous Lord Shiva's Temple and Palampur for the famous tea garden. 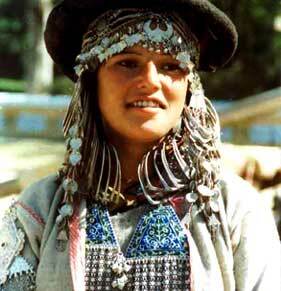 Later also visit Kullu. In the evening transfer to hotel in Manali. The highest point, 4,112m, on the Manali-Keylong road, 51-km from Manali town. It provides a wide panoramic view of mountains rising far above clouds, which is a sight truly breath-taking. 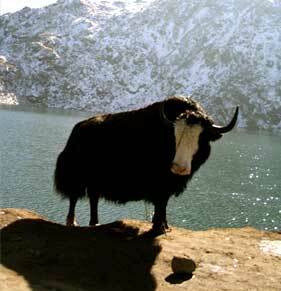 it offers the view of glaciers and snow capped mountains and peaks. It has fine ski slopes. 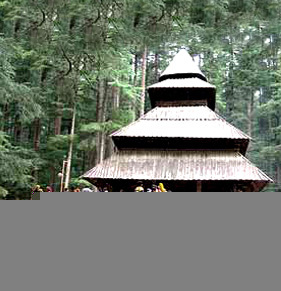 Hadimba or Dhungiri temple in Manali is one of the most important temples in the region. Vashist Hot Water Springs and Temple- Renowned for its hot springs and temples. Spend your time together; enjoy the snow and other adventurous games. In the evening go for shopping on the Mall Road. 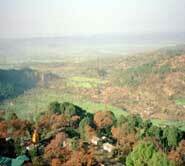 Continue your travel to the Queen of Hill Stations-Shimla. Later in the evening spend time together at the Mall Road. 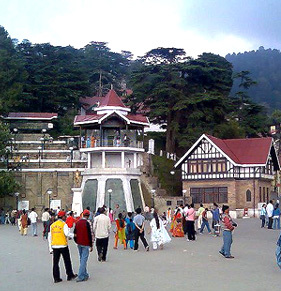 Visit the beautiful locations of Shimla. the second oldest church in Northern India, with a very majestic appearance and inside there is a stained glass window, which represent faith, hope, charity, fortitude, patience and humility. 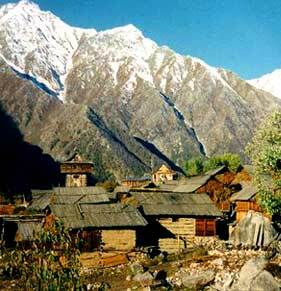 the highest peak and offers a beautiful view of the town and of the snow-covered Himalayas. it is a little mountainous heaven 45 kms. from Shimla. 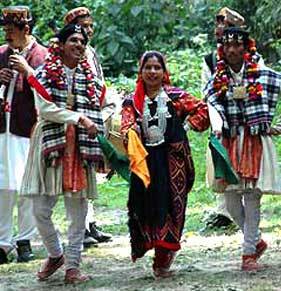 The forests near Chail have many species of birds and deer. 16 kms. from Shimla and the winter sports capital. During winter, visitors have the facility for skiing. Kufri is a lovely picnic spot with a beautiful view of the hills around and the snowy peaks. There is also a zoo that delights children. Enjoy your day at Shimla, go for other adventurous games. Later travel back to Delhi to catch your flight/train towards onward destination.